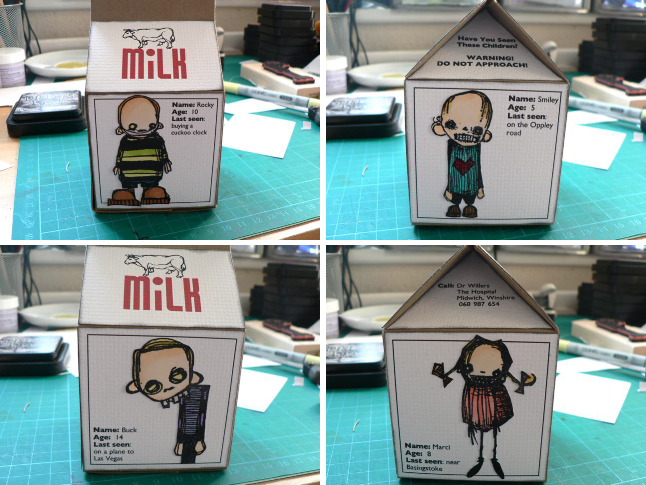 It was hard to pick a favourite from my Stampotique projects, I love them all so much, but I had to give the nod to the little Midwich Cuckoos milk carton. I love the wall art piece, the pyramid, with it’s romantic reveal, and the Gonzo Stamping one nearly as much, but these little creepy kids are somehow the ones that make me smile. Not enough time to do favourite ATCs or Cards (each with only a couple of choices) so maybe next time when I have (hopefully) a bigger selection! Categories: art, stamping | Tags: Stampotique | Permalink.